I use TOAD for my day-to-day Oracle development, but I find it’s debugging experience very poor compared to Visual Studio. 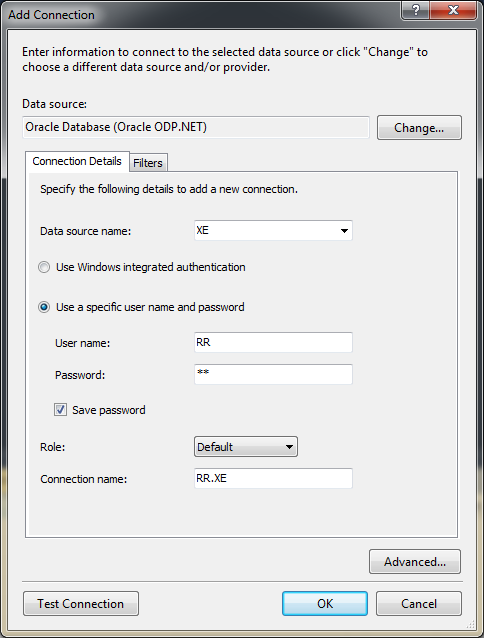 Using ODP.Net version 11 you can use Visual Studio to debug Oracle PL/SQL. Here’s how to do it. 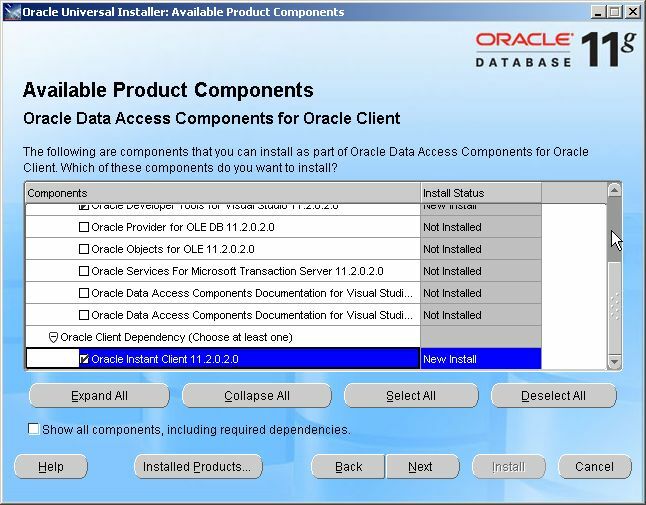 Note:You probably don’t need the ‘Oracle Instant Client’ since you already got sqlplus, but the installer won’t let you deselect it. Select next and let the software install. 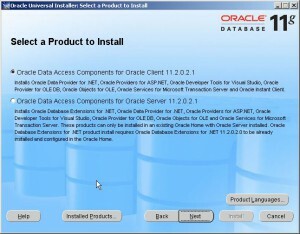 After you have installed it, you need to modify the new installed tnsnames.ora which is empty. I just created a symbolic link from to my original tnsnames.ora, that way I only need to maintain one (1) single tnsnames.ora. You can create junctions with the mklink windows command or the junction tool from sysinternals. 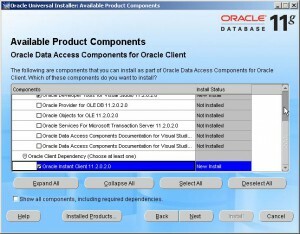 Once this is done, you should be able to debug Oracle PL/SQL code using Visual Studio. 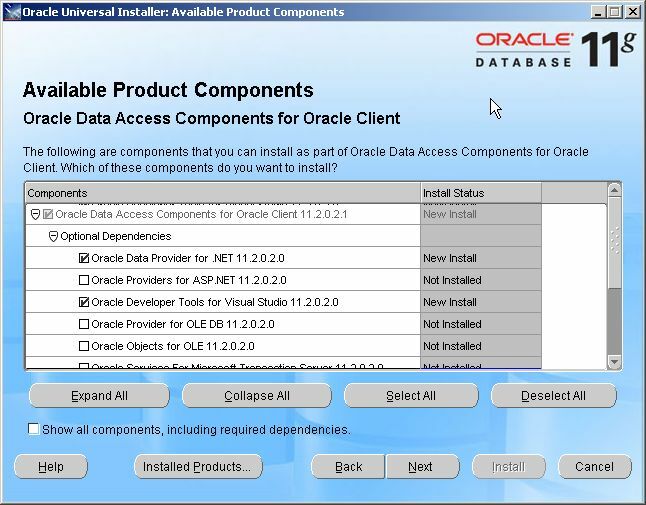 I have installed a local Oracle XE database with a G/Technology instance on it, and I want to step through package GPTUtils.PostProcess (‘COMPONENT’). ‘DBMS_OUTPUT.PUT_LINE’ statements are written to your output window, but they not immediately visible and you need to select the right output. 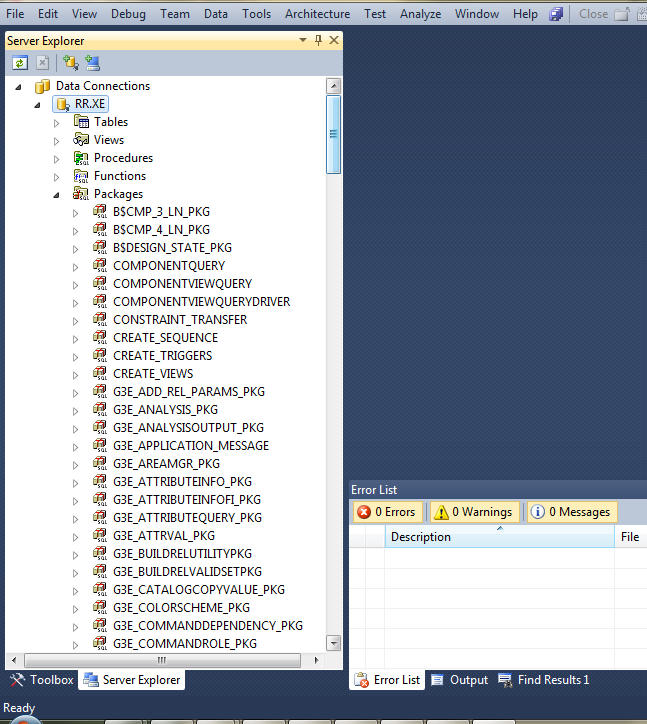 Despite this, I find the Visual Studio debugging experience much more better and productive compared to TOAD’s one. To be able to debug your PL/SQL code, you need to have it compiled with debug information. If you haven’t, Visual Studio will ask you to do this. You need to have a static ipadress. I used the Micosoft Loopback adapter. 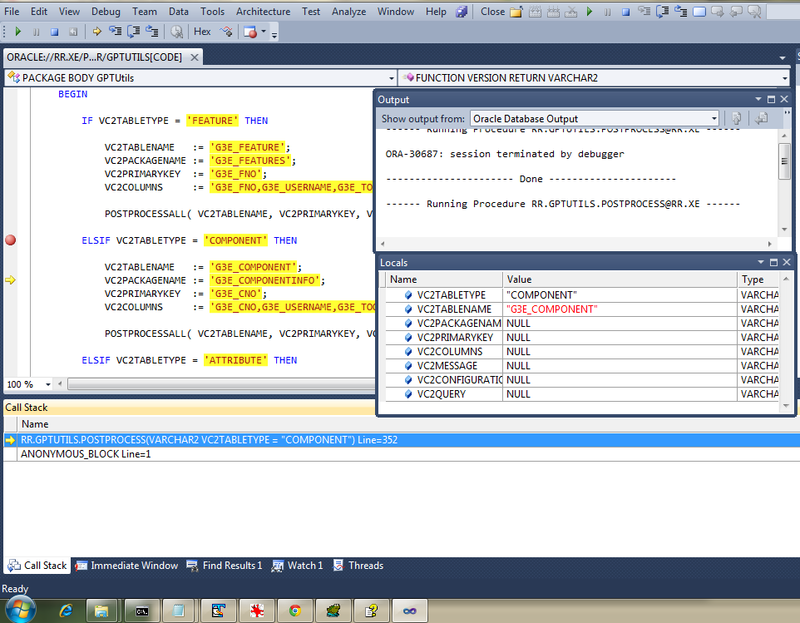 This entry was posted in Debugging, Oracle, PL/SQL, Visual Studio and tagged debugging, Oracle, Visual Studio. Bookmark the permalink.